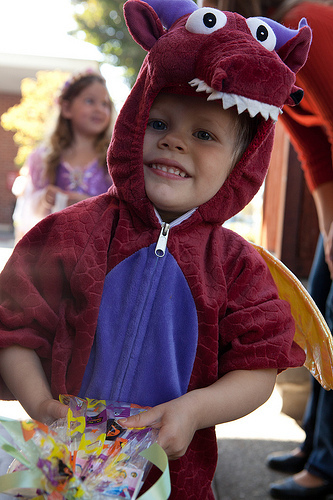 Menlo Park hosted its annual Halloween parade today from Burgess Park to downtown Menlo Park. Participating Santa Cruz Avenue merchants handed out treats to the costumed youngsters. Like last year, a friendly clown was a crowd-pleasing favorite.